Several studies have shown that the Single Nucleotide Polymorphism (SNP) in the CACAN1C gene, rs1006737, is related to different mood disorder illnesses, such as bipolar disorder and schizophrenia. Current day molecular procedures for allele detection of this gene can be very expensive and time consuming. Hence, a sensitive and specific molecular procedure for detecting these mutations in a large number of subjects is desirable, especially for research groups who have no complex laboratory equipment. The possibility of using a Fluorescence Resonance Energy Transfer (FRET) probe was evaluated by means of bioinformatic tools, designed for forecasting the molecular behavior of DNA probes used in the research field or for laboratory analysis methods. The molecular probe described in this study detected a Tm difference of 5-6°C between alleles A and G in rs1006737, which also showed good discrimination for a heterozygous profile for this genomic region. Although in silico studies represent a relatively new avenue of inquiry, they have now started to be used to predict how a molecular probe interacts with its biological target, reducing the time and costs of molecular test tuning. The results of this study seem promising for further laboratory tests on allele detection in rs1006737 region. 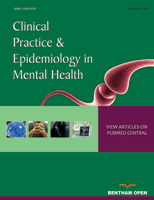 Keywords: Mood disorders, Genome-wide association studies (GWAS), CACNA1C gene, RS1006737, FRET probes, Real time PCR. © 2018 Orrù et al.